It's back to the neon brights for this week's 'nail paint of there week' post after a week of sporting a mild tone. This time round, I am sporting the ever so bright electric pink polish, Claridge Gardens from Nails inc summer 2016 releases stay bright polish collection. 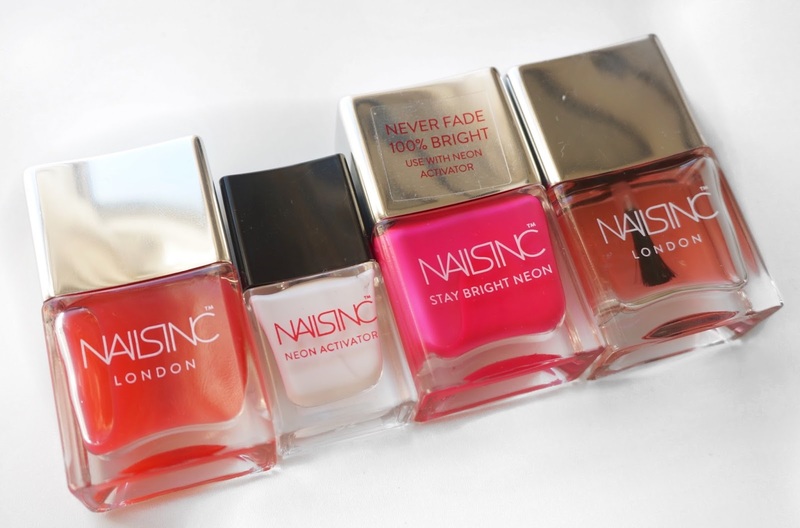 Claridge Gardens is the second polish from the Nails inc stay bright neon collection and I have been equally impressed with the results just as much as I was with Golden Lane which I wore a couple of weeks ago. The intensity of the nail polish is pretty impressive and lasted for the duration of my 7 day wear. 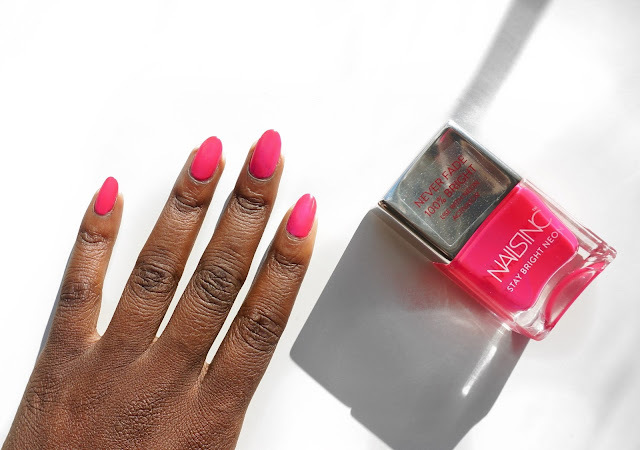 Providing you first apply the neon activator before applying your neon polish, you will be guaranteed a super bright non fade manicure that will be sure to add pops of colour to your outfit and illuminate the streets. 1. Apply one coat of the nails inc. kensington caviar base coat. 2. Apply one coat of the neon activator.